Author Donovan Day ('Get Back') was recently interviewed by legendary Mersey Beat founder and Livepool native Bill Harry. The following is reprinted here with permission from Mr. Harry himself. Bill Harry: You studied creative writing. Does that mean you were interested in fiction, writing novels, or is that a description of a writing course? I'm interested in pursuing the thought processes of a person writing a first novel: When you decided you wanted to write a novel, which ideas came into your head? Did you consider several possible themes to write about? How long did it take before you decided on exactly what you wanted the novel to be about? Why John? Why science-fiction? It is a basic theme to go back in time to alter the past, but there are consequences, some call it the butterfly effect. You mention people who helped you regarding the complexities of time travel (what happens if you go back and kill your grandfather, for instance), what exactly did they advise you? Were you aware of Stephen King’s novel about the man who travels back in time to prevent the assassination of John F. Kennedy? Why is the book described as being for 'young adults'? This seems to be a new trend with novels such as 'Twilight'. Exactly what does it mean, that the novel will particularly resonate with people of a certain age? Donovan Day: I took a number of fiction writing courses at Columbia University in New York and, yes, I definitely had an eye toward writing fiction. It's fairly typical in the U.S. and Columbia is considered one of the best of the best, up there with Harvard and Yale, probably the two best universities in the USA. Many novelists here have MFAs (Masters of Fine Arts ) -- advanced degrees -- that they believe give them the inside track with publishers. I don't think I'll be going that far. I was aware and influenced somewhat by Stephen King's '11-22-63' about the assassination of JFK. But I read that a few years ago. What prompted this book was a dream. I'd been reading a lot about The Beatles because I had met Diz Gillespie and he was telling me about his times hanging out with Brian [Epstein] and The Beatles. That spurred my interest so I began reading and then I had this dream where I was in the studio with the boys and jamming with them. They knew I was from the future and all went well until John asked me specifically about HIS future. I couldn't answer him, and then I woke up. Well, the dream was so vivid that I began writing. Time travel books are tough because one must be careful that what you do in one section makes sense in another. For instance, John meets Lenny at various times in the book...the '60s and then 1980. Obviously, John had to remember him. Early readers kept pointing this out to me so I was as careful as possible. I'm aware of the butterfly effect but I wanted to take a different approach in this novel because, while the butterfly effect sounds good, how does anyone know? No one to my knowledge has time traveled so in this novel, I decided I would change the past so, for example, Jim Morrison lives on. John could not live on -- not because of the butterfly effect -- but because Yoko's mother perished and thus Yoko would never be born. I think time travel by its nature is science fiction. Why young adult? That's a tough one. The main character is a teenager so I guess that's the main reason, and I wanted to introduce younger people to the '60s and The Beatles. That said, a number of people have told me that they think I should target baby boomers -- those over 50 years old now -- because they will relate more to the music. That could very well be. I think there is an innate interest there. 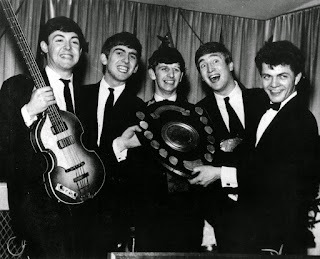 I had to take some license but tried to stay true to the 'facts' of The Beatles, and worked hard to get their characters to speak as the real flesh and blood people." Donovan Day's novel is available on Amazon here. If you're a Beatles fan, I probably don't even need to tell you that Sgt. 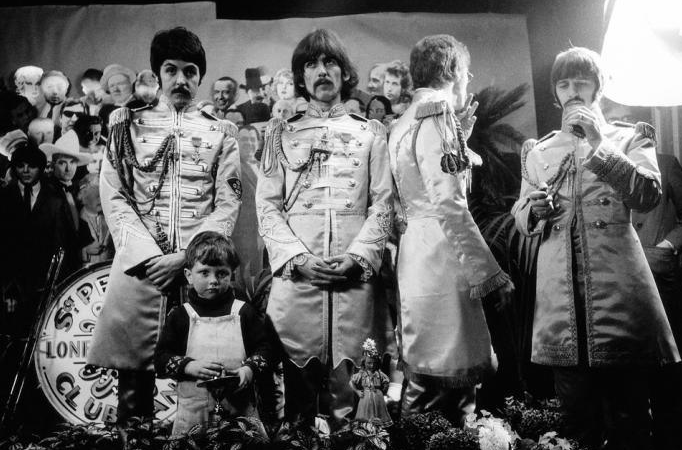 Pepper's Lonely Hearts Club Band was released on June 1, 1967, which means we're fast approaching the 49th anniversary of the album's debut. Still less do you need to be reminded what a landmark album this was, and how it changed the direction of rock and roll history forever. The Digbees took the concept to the next logical place with their parody song "Sgt. Pepper Spray." The Pepper album cover is an icon above all icons in rock music history. 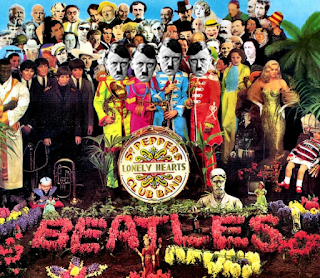 Some sixty-plus famous figures are depicted in the cover art, including Marilyn Monroe, Bob Dylan, Marlon Brando, and former Beatle Stuart Sutcliffe. Can you imagine if Hitler had been on the front cover? It would have been a completely different look. Just as Paul McCartney was deciding that doing an anonymous album was a good idea, George Harrison was discovering a central idea behind Indian music and religion, that music could and should help you discover your true self. Needless to say, these two directions couldn't have been more opposite, and George's apathy towards the album concept is quite apparent. 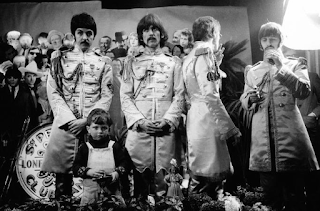 George's one composition for the album was an eastern-style meditation ("Within You Without You") that includes a lyric lamenting "the people who hide themselves behind a wall of illusion." He couldn't have been too thrilled with the idea of dressing up in a costume for the album cover and pretending to be a member of "Sgt. Pepper's Lonely Hearts Club Band." Arguably two of the strongest compositions written by either Lennon or McCartney during their pre-Pepper hiatus, "Penny Lane" and "Strawberry Fields" were among the first to be recorded when the band convened to work on the Pepper sessions. 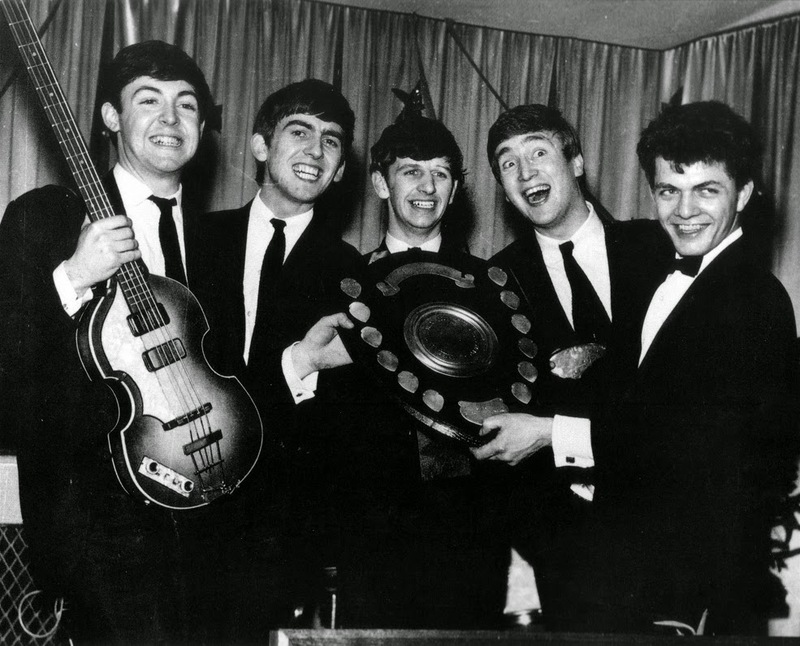 The suits-and-ties who ran the business, however, needed a new Beatles single for a hungry marketplace who were starting to worry if The Beatles were going to release any new music ever again, and so these two dynamite songs were released as singles and not included on the final album. But just try to imagine the alternate universe where Pepper also included those two tracks. It might have ended existence itself. Want to get into a fight with a fellow Beatles fan? Just suggest that, in between Paul's "dream sequence" ("woke up, fell out of bed") and John's final verse ("I read the news today, oh boy"), it's actually Paul singing the "ahhhs" and not John. Geoff Emerick in his book Here There and Everywhere says John sang those vocals, and Geoff was there, so he should know. Of course, this is the recollection of a man reaching back decades to remember a single point among thousands of hours of studio details, so maybe he's wrong. John C. Winn in his book That Magic Feeling says that on February 3, 1967, Paul and Ringo worked on Take 6 of the song, with Paul "adding some soaring 'aahs' over the circle-of-fifths segment that linked back to the final verse." Yes, it sounds like John. Until it sounds like Paul. Here's Paul, singing a line from his song "One of these Days" with the same vocal "color" found in "A Day in the Life." You be the judge!